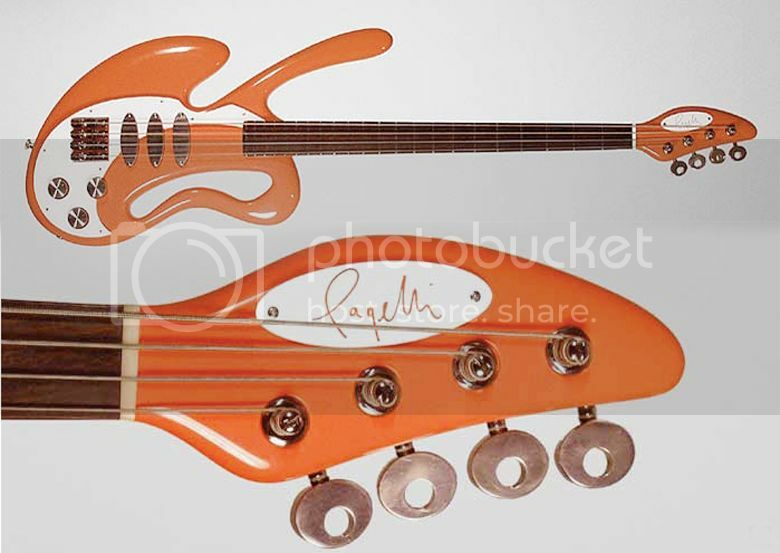 I don't know how many bassists could get away with playing a bass like this Pagelli Splash Bass because it makes a very visual statement. Maybe someone like Adam Clayton of U2 or Gerry Casale of Devo (although as a left-hander he would have to play it upside-down, which might actually look more correct with this design!). Simply funky! Body alder, neck maple, pick-ups by Harry Häussel / covers and tunerknobs by Pagelli. This bass is available from Pagelli via Vintage and Rare, price on application.